Brown Sugar and Rosemary Roasted Carrots are a family favorite all year long. 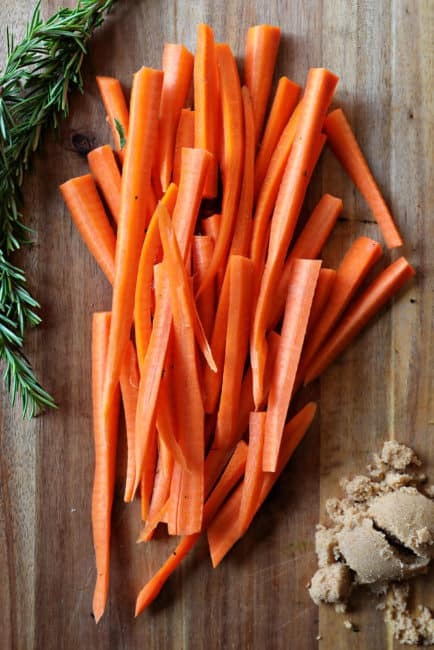 We especially love this recipe in the fall and winter as the rosemary is earthy, comforting, and the perfect compliment to a carrot! We love this recipe with Crock Pot Ham or Honey Baked Ham! Carrots are a family favorite around here. We all love them any way you serve them. 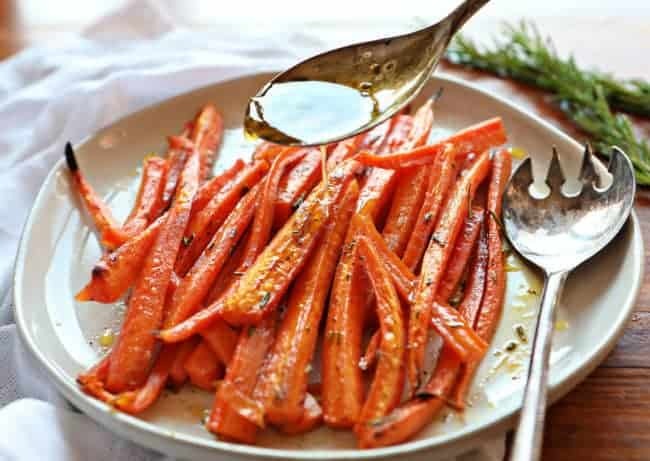 This roasted carrots recipe is one of our favorite because the roasting process brings out the natural sweetness of the carrots. We like to use large organic carrots or, our own garden carrots if possible. They have so much flavor and dont have as much of the other yucky stuff that comes from all of the pesticides. I know some people prefer to make roasted baby carrots. 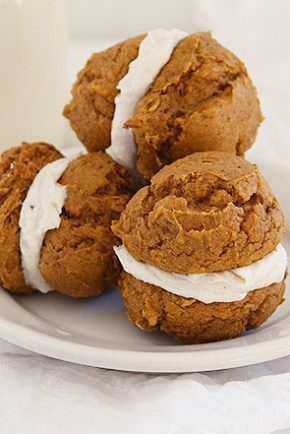 If you prefer the small bite-sized version, you can still make these! The cooking time may vary a bit, but the process is exactly the same! Conversely, some people prefer to cook the carrots whole without slicing. Again, the process is exactly the same, but the cooking time will vary. You will need to keep them in the oven long, and I might also recommend reducing the oven temp so you don’t burn the edges. Five minutes is all the prep time you will need for this amazingly sweet side dish. Peel and slice the carrots. Combine brown sugar, water, olive oil, rosemary, salt, and pepper and toss. Perfection is easy! This whole thing is transferred to a baking dish and baked until the carrots are tender. We like to slow roast them to allow the natural sugars in the carrots to combine with the brown sugar and herb mixture. Keep an eye on the cooking time, if you are cooking these as a side dish, opening and shutting the oven can affect cooking time quite a bit. If you start to see the edges burning it might be time to remove them. 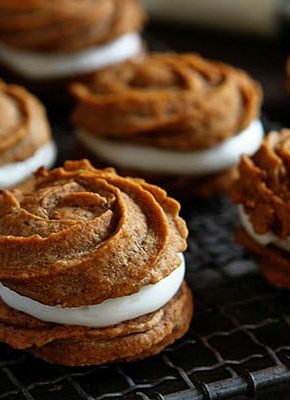 Also, it is best to cook these in a single layer if possible. It creates even cooking space and your carrots will come out perfectly tender! 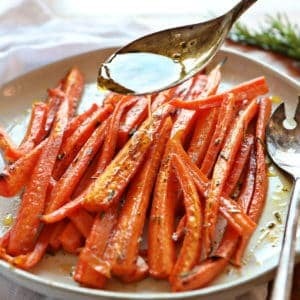 This roasted carrot recipe is a perfect side dish any time of the year. We love to pair it with our holiday meals. 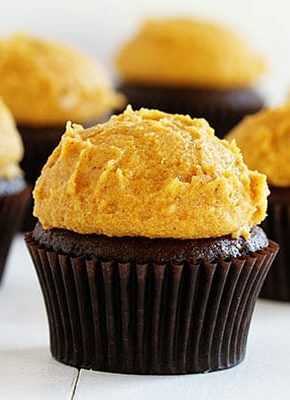 The sweetness of the carrots is a nice contrast to most holiday cooking like roast turkey and mashed potatoes and gravy. 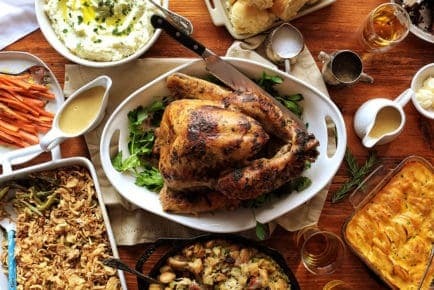 If you are looking to put together the perfect holiday menu. 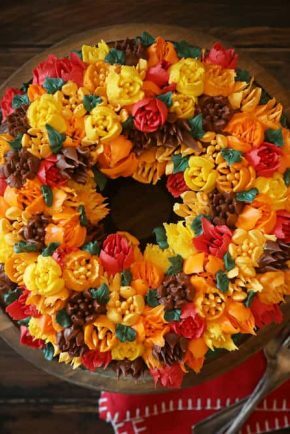 See some of my other holiday recipes below! 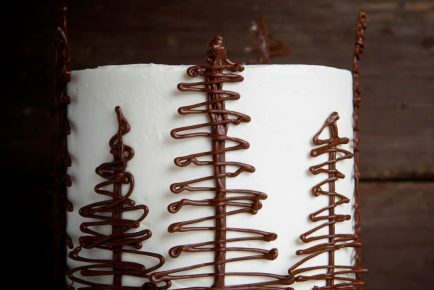 Looking for more Holiday Menu Recipes? 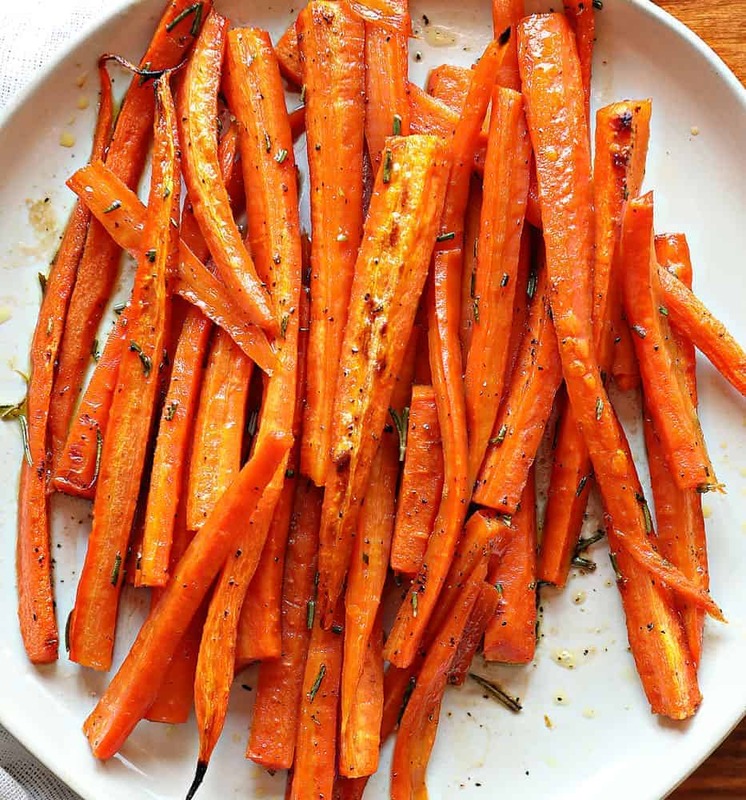 Brown Sugar and Rosemary Roasted Carrots are a family favorite all year long. We especially love this recipe in the fall and winter as the rosemary is earthy, comforting, and the perfect compliment to a carrot! In a large bowl, combine all ingredients. Toss to coat evenly. Transfer to an 8x8 baking dish, and bake until golden brown (stirring occasionally), about 40-50 minutes. FANTASTIC! I love new veggie recipes. thank you. Super awesome. Always look for recipes to use with qumquats too – so I cut a bunch in half and threw them in the “sauce” with the carrots. It was fantastic! Would rather something other than rosemary. Suggestions? How many net carbs for a portion. Hubby is diabetic. Thanks.